The lady in white appeared on the snowy slope, maybe 30 feet away, maybe 300 feet. The swirling snow and fog brought contrast down to almost zero, which made distance estimation chancy at best. Despite losing my glasses in the snowy wasteland behind me, I could make her out perfectly: a woman, dressed in a long white dress, with pale face and almost white hair. She beckoned to me, as if to say, come to me, it’s safe and warm up here. Six of us set out early on a Friday afternoon in late January onto Paradise Glacier on Mount Rainier. The color of the clear sky had already deepened; nightfall would be upon us in a few hours. We were all experience backpackers and campers, but our experience with winter conditions on Rainier came from a week-long winter mountaineering class offered at the local community college. In other words, we didn’t really know what we didn’t know. We carried all the right gear and the weather report suggested cold, but clear weather for the weekend. Five of us wore snowshoes, the sixth heavy mountaineering skis. But this is Mount Rainier, and Rainier always has its own idea about weather. When dusk set in, we made camp using a pair of tents large enough to house four people. That gave us plenty of room to spread our stuff out. We cooked our dinners, melted snow for water, yawned, and drifted off to sleep. Morning dawned — not the bright, sunny, crisp morning we expected. Blowing snow and dense fog greeted us, and only the time on our watches gave us a hint morning had come. We decided to wait things out a bit, hoping for clearer weather by midday. Midday came; the fog and blowing snow stuck around, and our optimism waned. So ate again, packed our gear, and set out into the whiteout. The group chose me to navigate, given my search and rescue experience, so I gamely pulled out the topographical map and compass and charted a course towards our next waypoint. The wind settled a bit, and we trudged through the eerie conditions, with every curved shadow revealing another dip or rise in the snow. It happened suddenly. As I led the way, peering at the compass in my hand, I looked ahead and saw a dark gray line which looked like another gentle, upward slope. I took a step, two, three, and suddenly… nothing. The glacier and whiteout fooled my eyes, and the upward slope I thought I saw was actually the edge of Paradise Glacier. I fell maybe sixty feet, into soft powder snow, pitching forward and tumbling maybe another sixty feet. My full frame pack remained attached by shoulder and waist straps, but hat, glasses, and gloves peeled off as I tumbled. I finally slid to a halt, uninjured, but dazed. After a few minutes, I could hear the voices of my party calling to me, from above me. As soon as I disappeared, the rest of the group instantly stopped instead of following me lemming-like over the edge. It took several minutes to catch my breath, then I shouted back that I was okay. I moved around in an expanding circle, but never found my gloves, glasses, or had. I had spare gloves and hat in the pack, so dug those out and spent a few minutes letting my heartbeat calm down and my body warm up a bit. The map and compass both remained tethered around my neck. I dug out the map and studied it, eventually realizing I could navigate a straight path back to Paradise Ranger Station. I called out to the party and told them; they turned back to return via a longer route. Now I was alone, and nearsighted. In reality, being nearsighted mattered little in the low-contrast whiteout. As I walked along, I looked down at the Sherpa snowshoes. 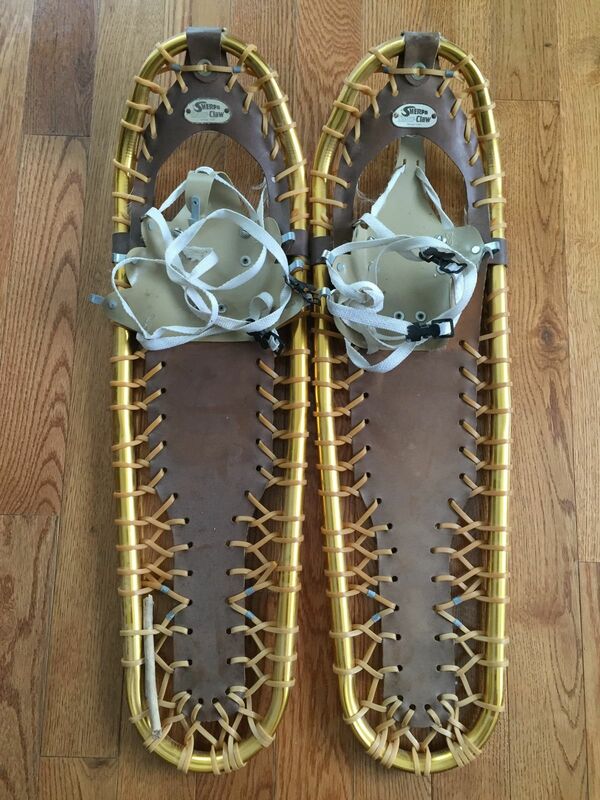 These were prototype snowshoes built with aluminum frames, rather than wood, and had a stretchy material laced to the aluminum tubing. I don’t remember how I discovered them, but I’m convinced wooden snowshoes would have shattered when I fell. I briefly swore at myself; I should have known better than to keep walking in whiteout conditions. Recriminations wouldn’t get me out of the mess, though, so I settled into a rhythm. Walk for fifteen minutes, then stop, munch on a bit of Kendall Mint Cake, and drink a little water. After that, I’d pull out the map and compass and check my route. The compass seemed to keep changing direction. I ignored my inner voice whispering in the back of my head to trust my instinct, and instead trusted the compass, resetting my course back to original compass heading towards the ranger station. 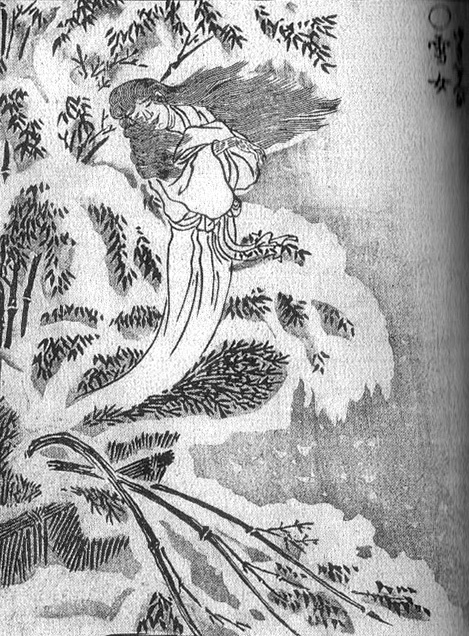 Then I saw her, up on the mountain, waving at me. I can remember the vision even today: a woman, all in white, waving me towards her, up the slope in the snow. I stared at the figure for a good ten minutes, then dug out my compass, turned my back on her, and doggedly returned to the direction the compass told me to go. Five hours later, I hit a road, and a half-hour after that ran into a group of rangers coming out to search for me. We turned back along the road; my dead reckoning had been just about perfect. My group actually beat me to the station, and were comfortably ensconced with hot chocolate and coffee. Everyone jumped up when I entered, babbling at me. I have never been happier hearing human voices. We all looked at a much larger topographic map of the area. Given the time it took, plus my compass heading, one ranger pointed at where I must have fallen, then traced a finger along my route. I’d apparently crossed several avalanche chutes along the way, bulging with new-fallen snow. Somehow, my fall hadn’t triggered an avalanche, and I’d passed below the main snowpack, which might have triggered slides. My mind drifted back to my vision of the woman dressed all in white. Going up the hill towards here would have been a really, really bad idea. I learned a lot that day, beyond the basic lesson of “don’t hike in a whiteout”. First, trying out these newfangled aluminum snowshoes may have saved my bacon. So I learned that being an early adopter — though I didn’t know the term then — is a good thing. Second, I learned to ignore my instincts and trust science. That helped me two ways. First, trusting my compass rather than my sense of direction was the critical factor in avoiding a night out on the snow, and possibly worse. People tend to walk in circles, particularly if they have a dominant leg. The compass heading never changed; instead, I’d been slowly pulling myself to the right. I’m sure my actually walking pattern must have looked like a series of zigzags. Finally, I ignored the paranormal “vision” I had. People’s minds tend to form patterns where none exist, a phenomenon called pareidolia. I didn’t know that word back then, but I knew the woman in white was clearly a mirage of some kind, and not real. Becoming an early adopter and trusting science saved my life, even before I discovered tech. Maybe that’s why it comes naturally to me.